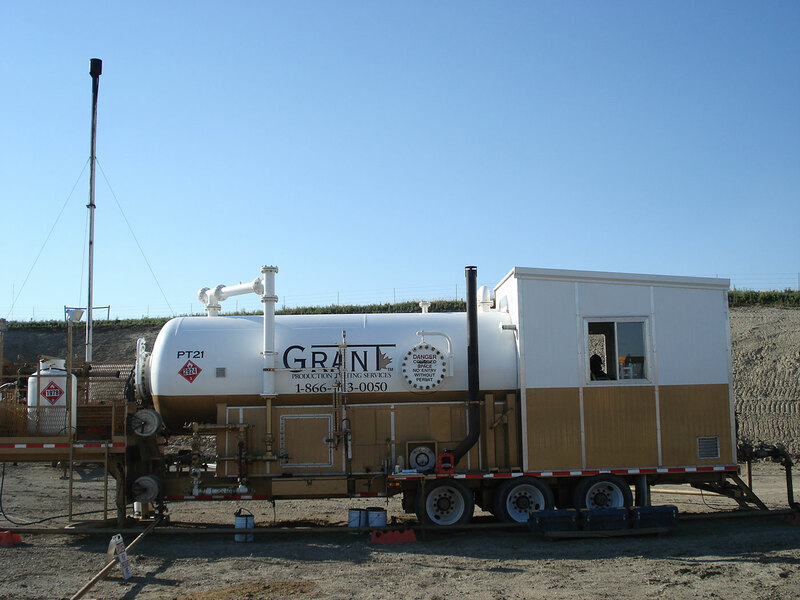 Our portable units are a cost-effective option that can be easily hauled to multiple locations. Our vessels will separate oil, gas, water and solids to help achieve more accurate measurements. 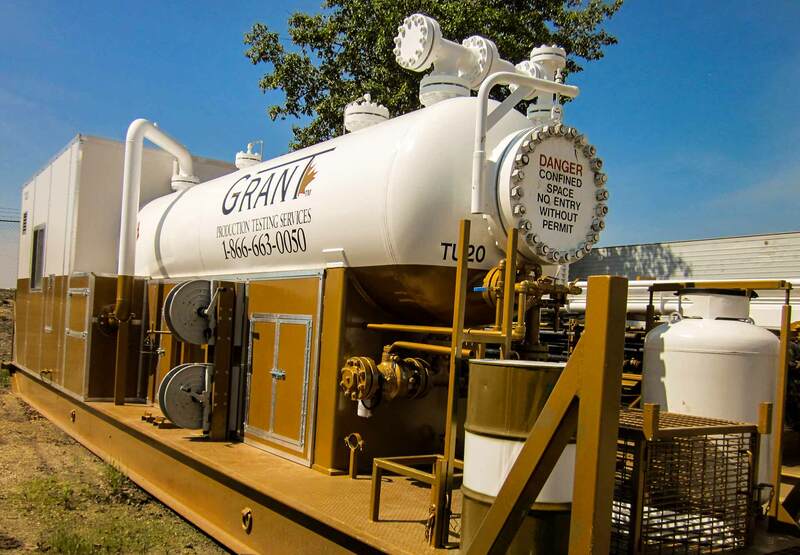 Whether you need a long or short term storage solution, our tanks will fit the need of every job site. 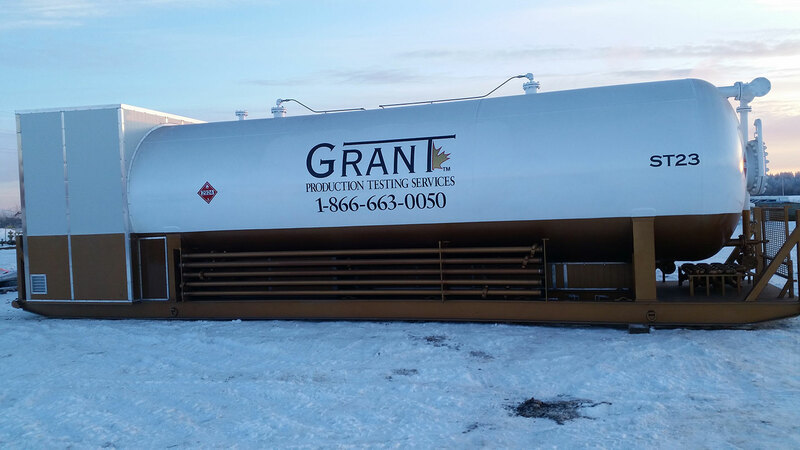 Grant Production Testing Services Ltd. is a leader in Foothills Critical Sour, Post Stimulation Flow-back and Inline Services. Grant PTS was started in 2001 and has grown to be an industry recognized service provider here in Canada. We are focused on continual improvement, growth and expansion opportunities. Our employees, together with the equipment, safety, knowledge, performance and dependability, gives our customers the peace of mind that each job will be completed safely and efficiently.